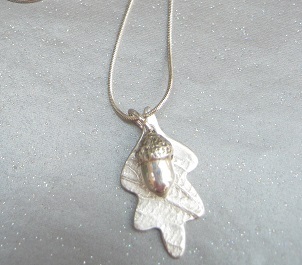 This is a selection of my fine silver jewellery that are unique hand crafted designs made with inspiration from nature. 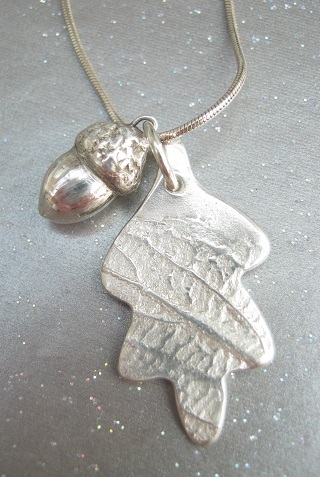 Capturing the fine details of leaves, fossils, shells etc. 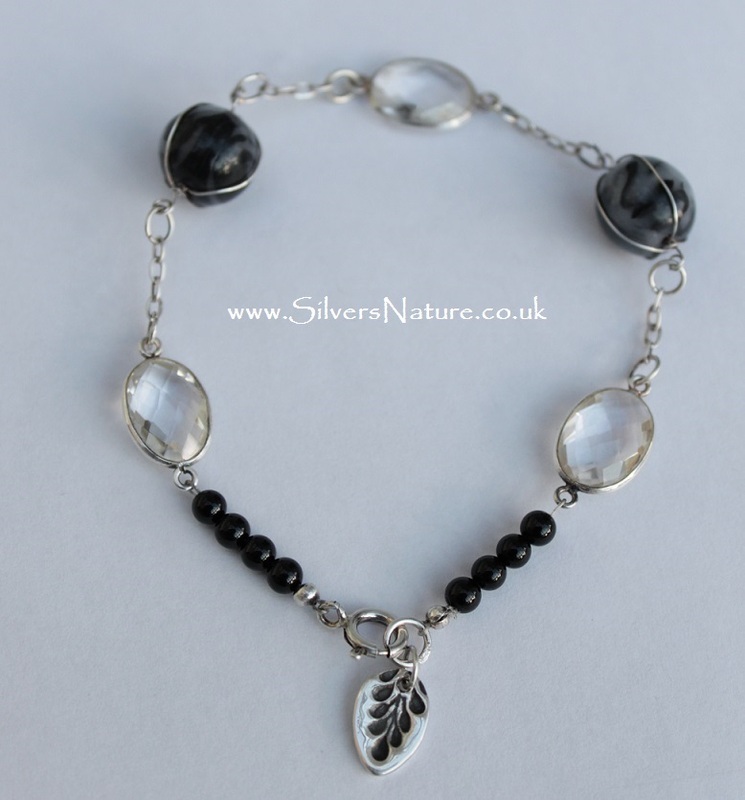 this is a sophisticated collection that will flatter any skin tone. 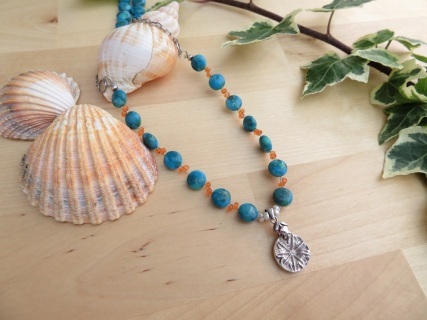 The added colours of genuine gemstones gives an extra dimension to this fine jewellery. 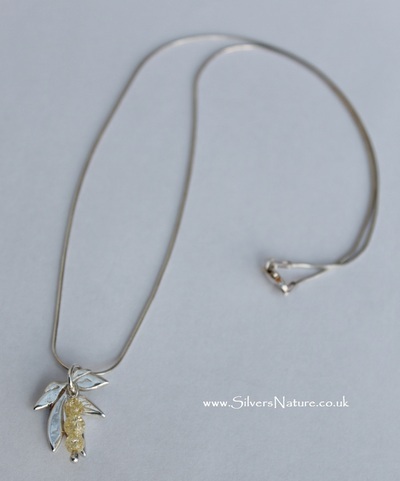 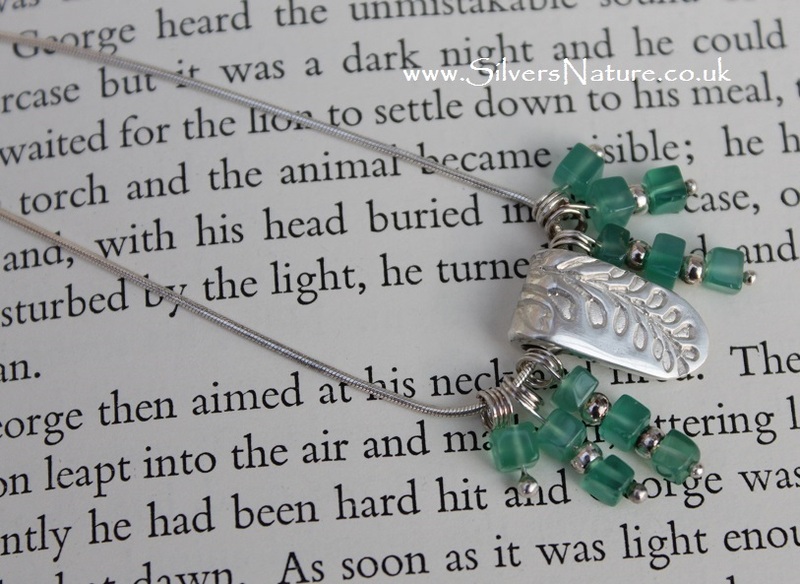 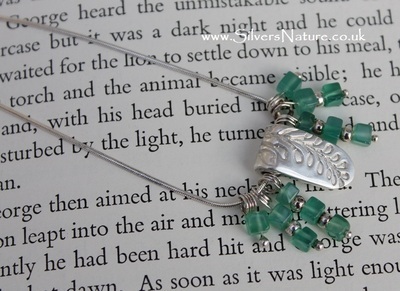 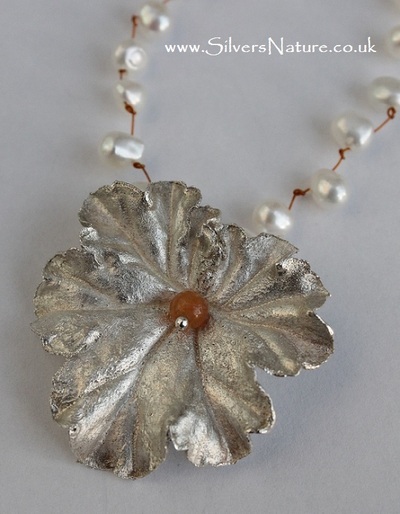 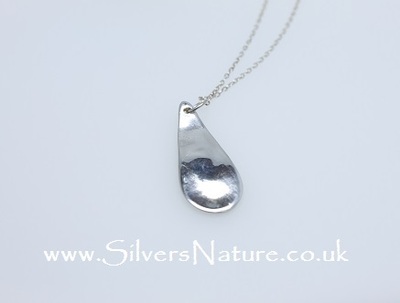 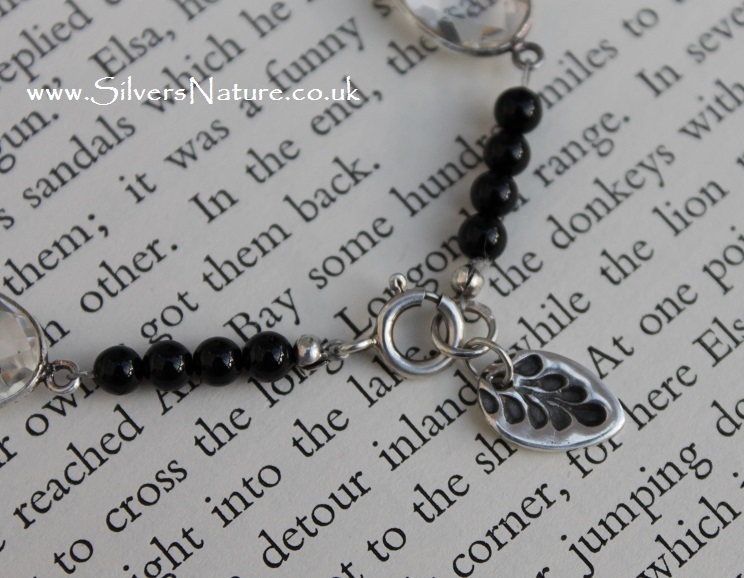 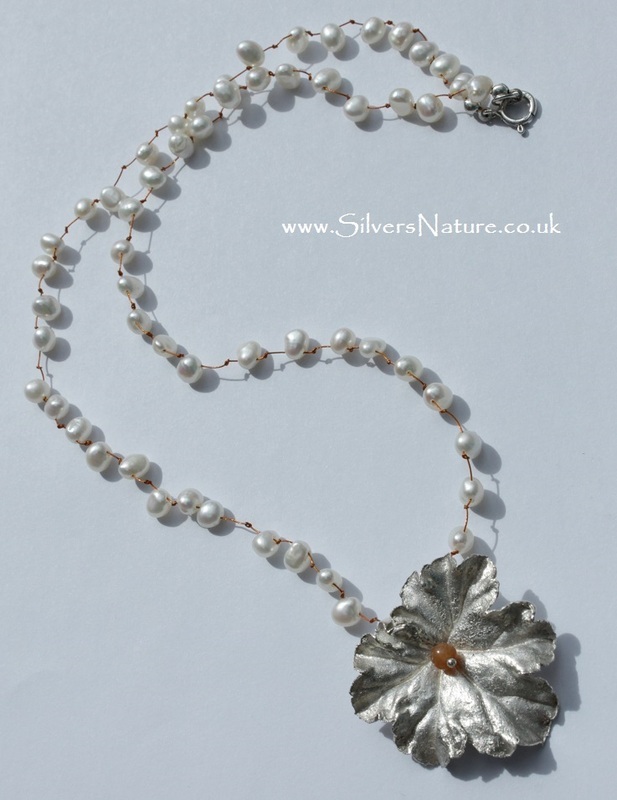 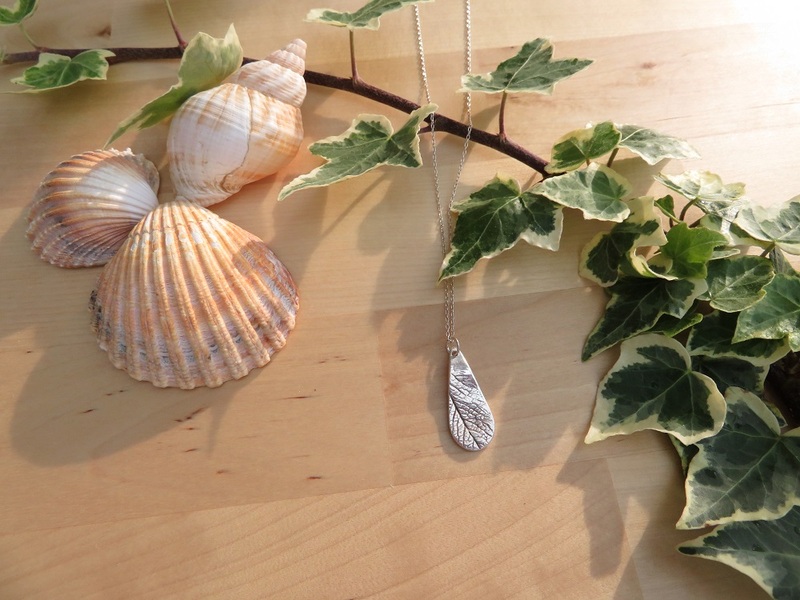 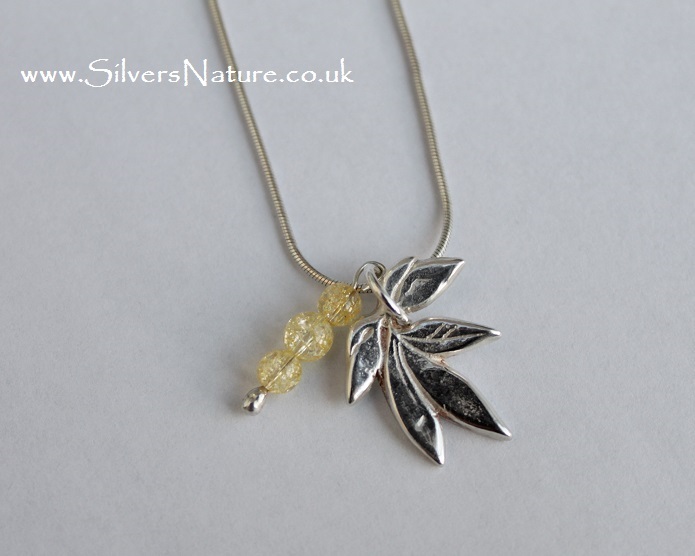 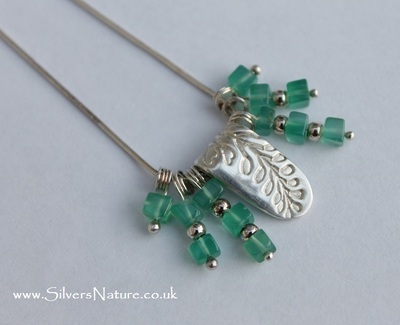 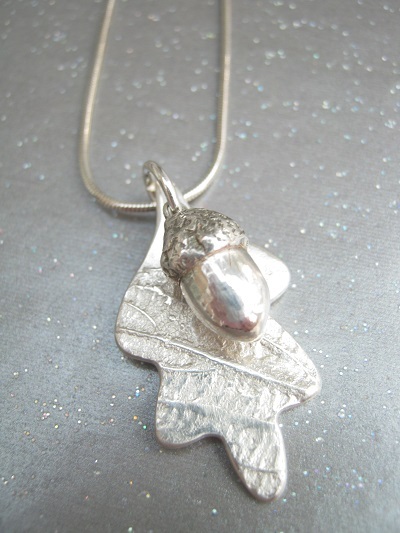 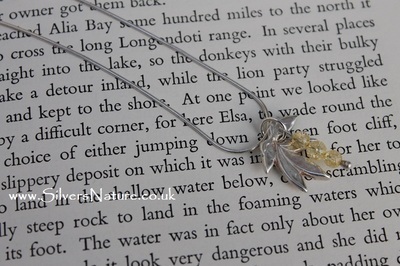 This handmade fine silver leaf print necklace has been made with the print of a real leaf. 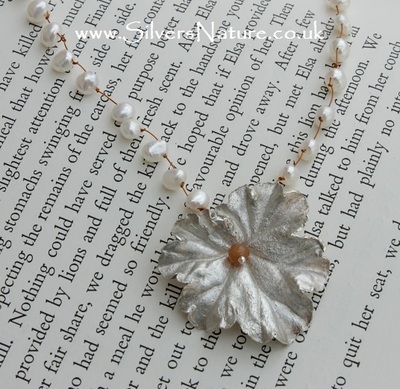 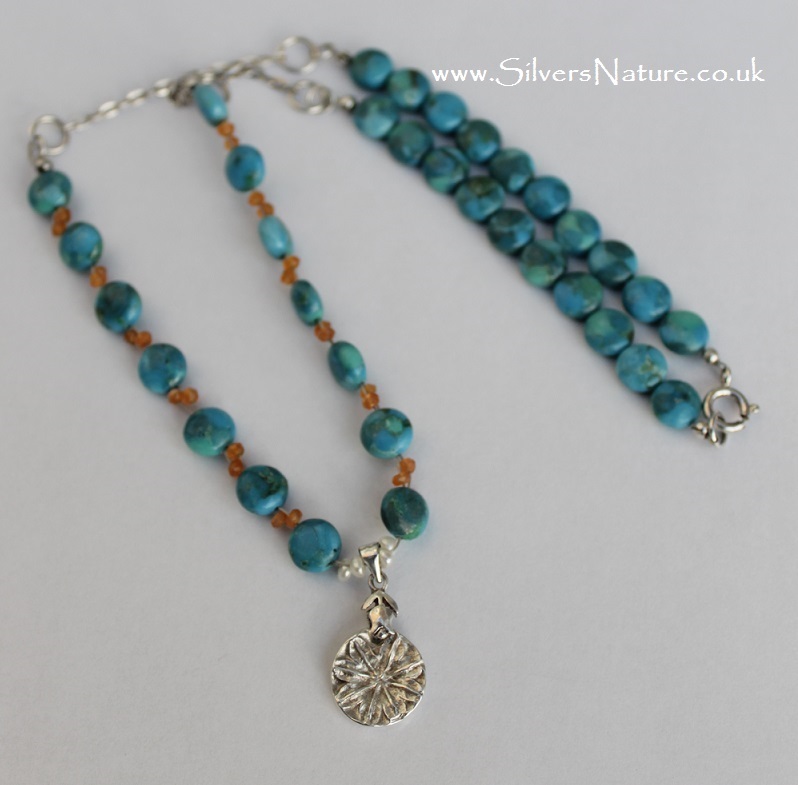 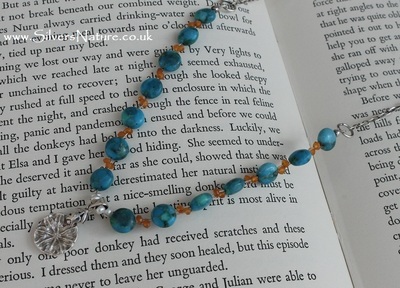 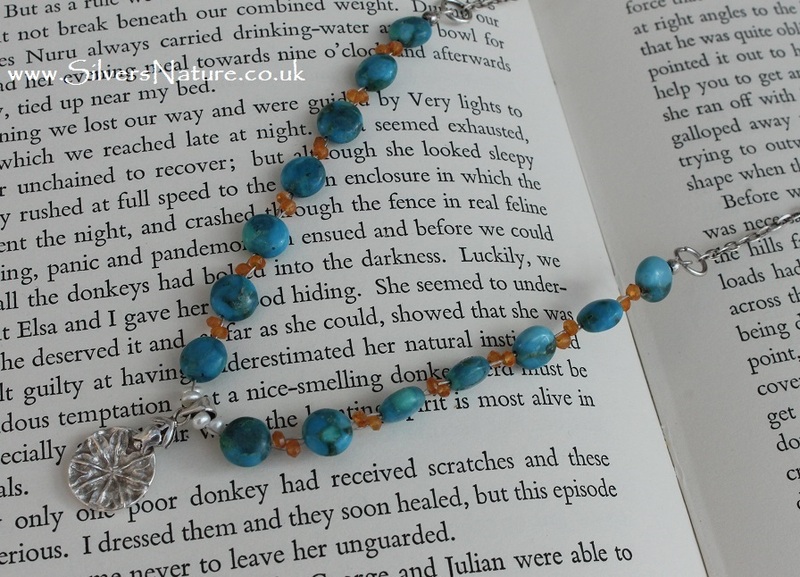 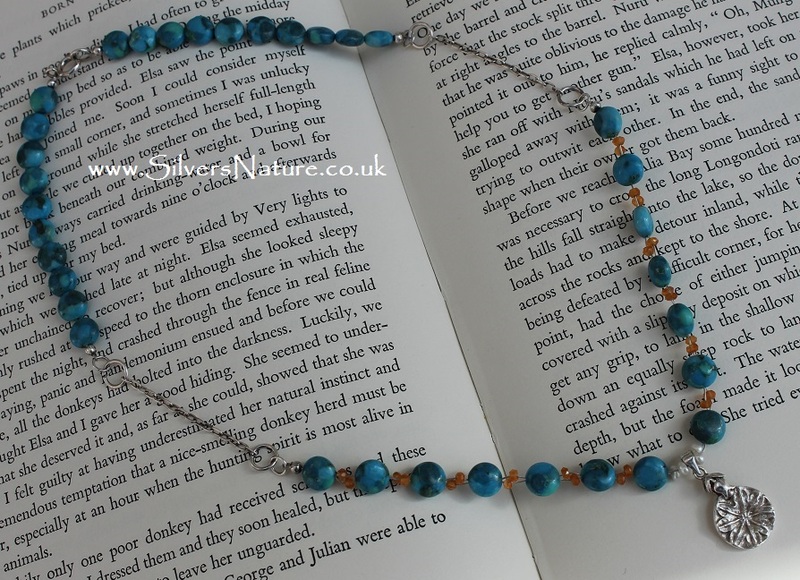 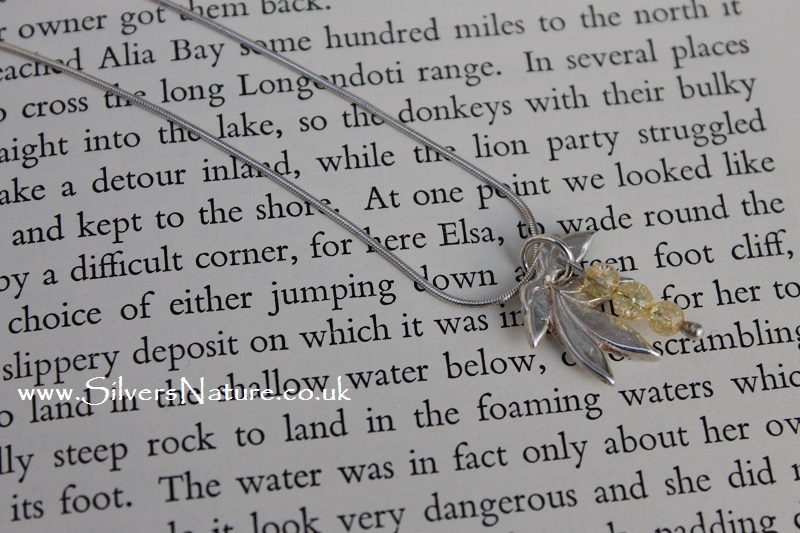 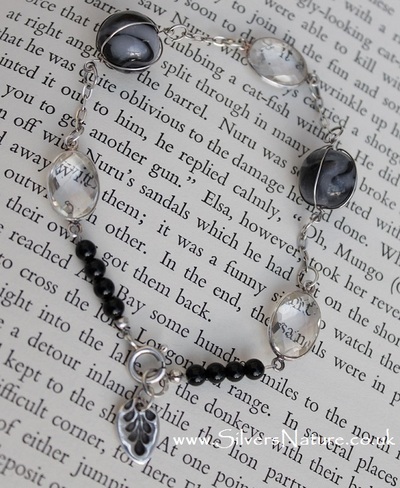 A natural woodland necklace representing Autumn/Fall and natures growth throughout the year. 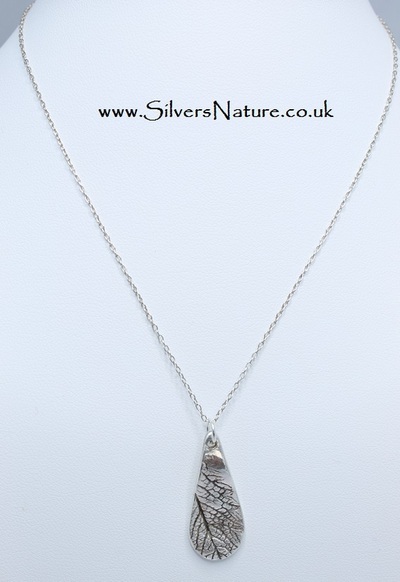 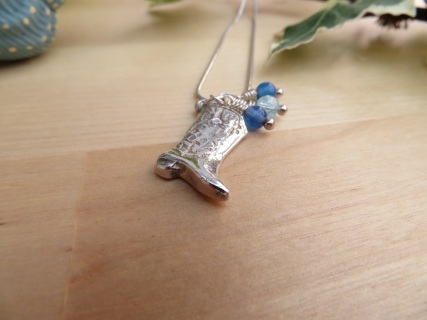 It has been oxidised to enhance the details, highly polished by hand and hung on a sterling silver trace chain. Length: 16 or 18 inches. Presented in a pretty jewellery box with SilversNature design card.